Is there a possibility that events such a Black Wednesday will occur more frequently in the future? The short answer to my question is yes. There will always be that occasion when that combination of human folly and arrogance will lead to a repetition to the economic disasters of the past. As an economist I can reconcile myself with the knowledge that such crisis are but a once or twice life in a time occurrence. Unfortunately I believe that I will be unlucky enough to experience a third life time economic crisis, but one of such damaging dimensions that it has the potential to make the crisis of 1992 and 2008 seem relatively insignificant. Recently I read an article in ‘The London Review of Books’ which expressed an opinion which I share and that is, that for the first time in recent history we have a group of leading politicians who want to do ill to a substantial number of their fellow citizens. These politicians are the ultras of the Conservative party. It is not just the turning back of the clock to disadvantage those groups that have profited from modernity, but desire to impoverish large numbers of their fellow citizens. Now some of them are beginning to openly admit that leaving the EU will not deliver any of the benefits they claimed in the referendum campaign. In fact they recognise that there will be a significant loss of national income as a result of Brexit. There are those who believe that the economic downturn consequent on ending our free trade deal with the EU, will lead to a modest reduction in living standards. They believe that the stoicism of the British will enable them to weather this temporary storm. Britons endured worse during the Blitz and so they believe they will the people demonstrate a similar stoicism in seeing out this downturn. Just as in 1940 they will see this deprivation as a price worth paying to be free of this new tyrannical continental behemoth that is the European Union. They seem to want to replay the 1940s, but with a contemporary twist. However what they do not seem to realise is that the various predictions of a 3% or 8% in future income growth are the cautious predictions made by economic statisticians. The economy is not some mechanical creation such as a car that can be tinkered with to produce a slightly more modest performance, it’s a dynamic social organisation that is capable of volatile, unexpected and sudden changes in direction. An economic slowdown is quite capable of turning into something much worse. The British economy as with many others includes within it many economic fault lines that if triggered would wreak tremendous damage to the economy. What these foolish politicians have forgotten is “Black Wednesday’ in 1992, a day in which speculators effectively bankrupted the country. All the weakness in the economy that existed then, still remain today. One such is the massive private sector indebtedness, which includes that of the banks. Britain is one of the world’s bankers and as such it holds a large proportion of the world’s cash reserves. The banks assets are moving towards a position whereby they total nine times the county’s GDP, that is about £18 trillion. Just as in 1992 the British banks are borrowing short and lending long. In plain English customers deposit money on short term notice, money that they can withdraw on demand or with a few days notice. Banks lend this money long term, it is invested in property or some other asset, which either cannot be quickly changed back into cash if needed or if cashed in it will return a value much less than that for which it was purchased. British banks have reserves that they can use to fund cash withdrawals in normal circumstances, so this is never usually a problem. However it becomes a problem when the abnormal happens and investors lose faith in the banks and want their money back. The abnormal occurred in 1992 and 2008. On the first occasion the central Bank was almost bankrupted and in the second if was the entire banking system that suffered the same experience. Nobody that is not a fool or an arrogant politician with little understanding of economics would do anything to provoke a recurrence of these past crisis. One of the triggers of a depression is falling business confidence, once that is lost the economy is in the doldrums. The maladroit government negotiations with Europe over Brexit is leading to a loss of business confidence, as businessmen are increasing uncertain of what the future holds for them. Whenever politicians are informed on problems tor business that are developing because of Brexit, they are either ignored or dismissed. Such behaviour is further draining confidence out of the economy. In such febrile circumstances a run on the pound could easily be triggered. One such trigger point occur at the port of Dover. The government has made no preparations for the reintroduction of customs barriers at Dover, yet free trade with Europe will end in the near future forcing the government to reintroduce customs barriers. New staff are not being recruited and it no preparations have been made to introduce new IT systems to processing the import and export trade tariffs, such checks are unnecessary while Britain remains in the single market. It seems to assume that they can introduce a seamless system of tariff collection, when they or nobody else in the world knows what such a system will look like or even if such a system is possible. After March 2019, when Britain leaves the EU and chaos prevails at Dover and other ports, it will be a demonstration of government incompetence. When the government is demonstrating such a degree of incompetence investors could take fright and take their money out of British banks. Our banks are quite incapable of funding such a large and sustained flight from sterling and the UK would have to turn to the IMF for help. The resultant crash would turn the British economy into an economic basket case resembling that which is contemporary Greece. However there are a minority of Tory Ultras who would welcome such a collapse. The consequence shortfall in government finances would mean that many of the institutions of modernity, such as the welfare state and the NHS could cease to exist through lack of funding. They like the medieval doctors who let blood to purge the body of noxious vapours, believe that an economic crash which destroyed the welfare state would lead to a similar purging of the British character. Such a purging would be the purging of the welfare dependency virus, no longer would the British people be able to look to the same for welfare or health care. This purging of the British character would lead to a rejuvenation of the British, they would become like their independent 18th and 19th century forebears who created the largest empire the world has seen. Some ultras are even speaking of the Empire 2.0. However they show little awareness of history, the Greek political parties that dominated the Greek political scene prior to the crash of 2008 that is New Democracy and Pasok have disappeared from the political scene, as the people blamed them for the decimation of their incomes and economy. Although these Tory ultras are careful to remain in the background pulling the strings to ensure that the government commits to their desired hard Brexit, they would not be unable to avoid ‘ownership’ of the post Brexit economic crisis. They were members of the party of government that caused the economic crash and in any election many would be voted out by an angry electorate. 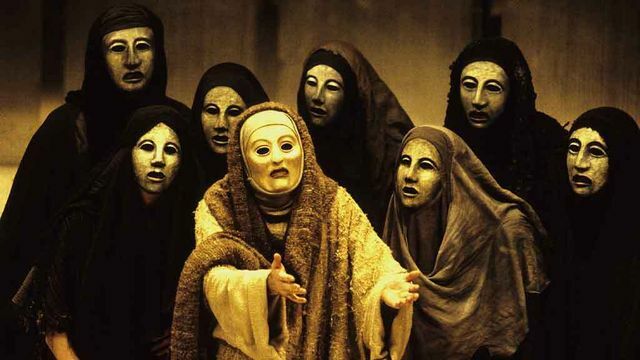 Greek tragedy provides a metaphor which can demonstrate the reality of the crisis facing Britain. In Greek tragedy the God’s raise the hero up, only to later destroy him. It is as if the God’s of the economy have raised the Brexiteers and Conservative Party Ultras to power only to destroy them. The Gods seem to have chosen the least capable and those least fitted for the role to lead the Brexit negotiation, knowing that their incompetence will be the cause of their downfall. It is tempting to refer to Winston Churchill wartime speeches in this context, because they see themselves in the Churchillian role of standing up to the continental tyrant. He said the Nazi’s would reap what they had sown, the same applies to the Brexiteers who will reap the consequences on what they have sown. Not the whirlwind of mass destruction but the whirlwind of economic destruction. Quite possibly the Conservative party, as with the conservative Greek New Democracy party will disappear from history. Any prediction made by an economist is never more than a probability or a possibility. When the Bank of England predicted economic meltdown if Brexit occurred, it was widely assumed that they had made a terrible mistake, when this never happened. However this scenario was avoided through the prompt action of the governor of the Bank of England, who fearing a downturn in the economy, pumped billions of pounds of extra money into the economy to prevent that downturn happening. Similarly it is possible that the realists in the Conservative party regain control and instead of going for a decisive break from the EU with all it’s damaging consequences, they will negotiate a ‘soft Brexit’ which will minimise the damage to the British economy which will result from leaving the EU. When I read any accounts of the debates conducted by the Republican candidates for the role of President, I am filled with despair. They all demonstrate astounding degrees of economic illiteracy, a tendency all too common demonstrated by politicians this side of the Atlantic ocean. The only economic topic deemed worthy of debate here is how to reduce the government debt. Economic illiteracy rules out the obvious solutions such as reversing the trend to reduce the tax take from the super rich and business corporations, as one conservative politician said increasing tax on the rich is immortal. Instead in one of the richest countries in the world there are constantly circulating in the media stories about how this poor country cannot afford to provide for the welfare of its citizens. Economic illiteracy also prevents politicians in Britain discussing the more serious deficits that is those of the private sector and the banking sector, which are x2 and x5 greater than the government deficit. Only a self denying ordinance based on nonsensical theories about economics could possibly explain this strange politics. America provides a good example of nonsense economics. Before George Bush Snr. was chosen as Vice President by Ronald Regan he described his economics as ‘voodoo economics’. What Ronald Regan was proposing was to cut federal taxes, spending on environmental and welfare programmes while increasing spending on defence and military aid to friendly states. Ronald Regan also said while doing these he would cut the government deficit. What his advisors had failed to understand was that defence spending was one of the great sources of ‘pork barrel’ politics. Many Congressmen and Senators had large defence industries in their states and what they wanted was massively increased spending on defence. The voodoo or nonsense was that while they paid lip service to cutting government spending, they constantly voted for the opposite. Under the presidency of Ronald Regan the government deficit spiralled upwards and none of the constant hand wringing over the problem did any good. It was not until the Presidency of Bill Clinton and the introduction of more economically literate policies that the budget deficit declined. It is a truism but economic good sense is always rejected by politicians if it goes against their long held prejudices. Unfortunately British politics as with American politics is dominated by nonsense economics. One of the most common foolish prejudices is that if its not hurting its not working. This is a very selective hurting as the hurt about which British politicians enthuse is the hurt that they inflict on the poor and those on middle incomes. Great efforts are made to ensure the pain is not registered by the better off, who benefit from tax handouts or tax cuts to protect their income. While some economics is nonsense there are significant truths in the body of economics that politicians ignore at their peril. The temptation for any politician is to rewrite economics according to their own prejudices and personal beliefs. They can achieve this because the economy has constantly grown since the beginning of the century (apart from a few downs) and they can claim that this growth is a result of their policies. It is extremely hard to disprove such claims as the economy is such a vast complex mechanism and it is extremely difficult to distinguish cause and effect. Once in an economics seminar I and my fellow students argued for over an hour whether or not it was possible to identify the effects of a particular economic policy as by the time it began to take effect the economy had changed and it could not be known to what extent the improvement in the economy could be down to a particular policy measure or a change in the economy. The smartest of politicians took advantage of this uncertainty to rewrite economics according to their own personal preferences, as it was extremely hard to produce evidence to prove or disprove their theory. They were aided by a certain complacent belief amongst economists that the economy was self sustaining and that even the worst of economic policies would only have a small negative impact on the economy. In addition there is the Lysenko factor, that is many economists are only to willing to rewrite their economics in deference to the wishes of their employers, as that the way to preferment and prestigious academic positions. Once politicians realised economics could be bent and reshaped according to their own personal whim, they began to treat economists as propagandists and not advisors. Economists became a servant of their political masters to be used and abused as they pleased. Whatever the failings of particular economists they are nothing as compared to that of the politicians. The arrogance of politicians is such that they are unaware of the dangers of the policies they practise. The classical Greeks had a word for this hubris, that is when ambition led men to overreach themselves. Greek tragedies featured a hero in conflict with his fate and often the Gods. In tragedy of Orestes it is foretold that Orestes will kill his father and marry his mother, yet in spite of this he continues on his path to his tragic fate, when after realising that he has killed his father and married his mother he is despair puts out his eyes. In the UK we have a number of Orestes that manage our public affairs, who as with him are blind to their fate, despite the warnings of economic soothsayers blindly commit themselves to a policy that will lead their nation into disaster. If they cared to look beyond the hermetically sealed world of Westminster they might realise that there are dangers out there of which they are ignorant. Recently I read that the British government pledged £1.2 trillion of monies to support the banks in the crisis of 2008/9. The significance of that figure is that it was almost the same in total as the country’s national income. In other words the government was willing to pledge the whole of the nation’s income to bail out its banks. Fortunately the bank creditors were sufficiently satisfied with this pledge not to demand it be honoured, it is very unlikely this pledge won’t be cashed in during the next crisis. Our politicians being supremely self confident don’t realise that they have put in place a process that will lead to the destitution of the UK. The cause of the next disaster will be the over extended British and Western European banks. At the root of this crisis is what is termed Fiat money, money that is no more than a promise to pay. Our banks can create money by making an entry in their computer records and the only limit to their powers of credit creation or money making is what they think is reasonable. What the banks believe is reasonable is what others may term unreasonable. In 2008 the banks backed their loans or bank money with cash reserves of 2% so for every £100 of bank money they created they only had £2. In the event of a crisis the banks quickly ran out of money to pay their customers who wanted their money back and a run on the banks and a collapse of the world financial system was only avoided by the prompt intervention of governments. Our arrogant political class has learnt nothing from the crisis of 2008/9 and foolishly believe that by manipulating the money supply and interest rates they have beaten one crisis and have the tools to beat the next. Only the foolishly arrogant could believe this as all indicators show the economies of the West are desperately weak. Interest rates (that charged by the Bank of England on loans to banks) for example cannot be increased from there historically low levels of 0.5%, without fear of that increase sparking a major recession. The complacent politicians have even encouraged the governor of the Bank of England to announce that they see no reason why our ‘financially sound’ banks should not be allowed to increase their assets to total x9 our national income (GDP). Those assets will largely be loans or bank money, which has no value other than that given to it by the banks. Already with the slow down in China there is evidence that the new recession is starting, given the arrogant blindness of our political leaders they will be helpless to prevent a rapid spiralling downwards of economic activity as they have not the policy tools at hand to prevent it. Can I finish this essay with another metaphor, that of the ship of fools. This was a popular subject for art in the medieval world and these pictures showed a boat crewed by all the political leaders of the time, kings, great lords and Popes, often this ship was shown heading to disaster on the rocks pictured in the background of the painting. The current ship of fools is driving Western society on to the rocks of yet another economic disaster and it is their arrogance that prevents them from seeing that their world is being put in peril from there foolish misdirections.